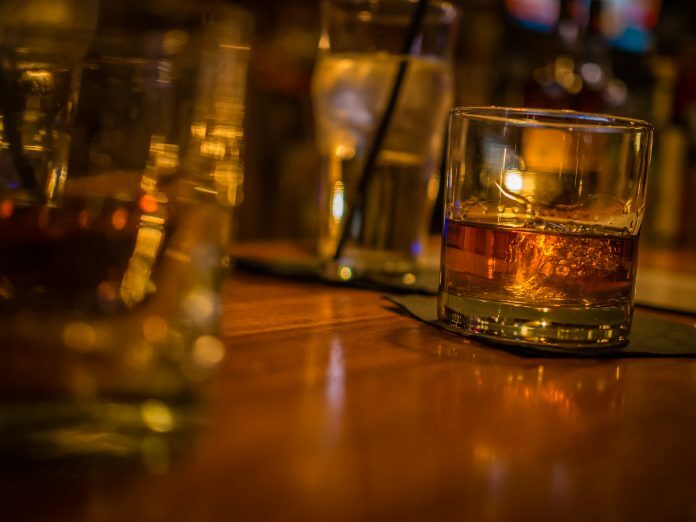 Because I believe in doing proper research for the articles we run here on Interesting Thing of the Day, I am, as I write about National Bourbon Day (June 14), consuming a glass of Old Forester Kentucky Straight Bourbon Whisky (“The First Bottled Bourbon, Estd 1870,” reads the bottle). I’m doing this for you. Because I care. “Bourbon whisky”… is whisky produced at not exceeding 160° proof from a fermented mash of not less than 51 percent corn… and stored at not more than 125° proof in charred new oak containers…. In other words: whisky distilled mostly from corn, aged in oak barrels. Yes, I’m deliberately yada-yada-ing some details, but you can look them up if they’re really important to you. What’s important to me is the flavor (delicious) and the intoxicating effect (significant and rapid). I’m told it’s also useful in certain cocktails, but I prefer mine unadulterated, if it’s all the same to you. Cheers!